Has your boiler broken down? Do you require professional boiler repairs in Southampton? If so, get in touch with Combi-Nation today for a service that won’t let you down. With many years’ of experience and a wealth of expertise to call upon, we will supply you with the best boiler repairs Southampton has seen. If you require urgent boiler repairs in Bournemouth, don’t put off calling us a second longer. Pick up the phone and our team will aim to respond as quickly as possible. Upon arrival, we will carefully inspect your boiler and use state-of-the-art testing equipment to narrow down the fault. From mechanical to electrical failures, you can expect the most exceptional boiler repairs Southampton has to offer. We carry a wide range of spare parts, and can even replace the entire boiler unit if necessary. Would you like to know how to keep your boiler working for longer? Just ask, and our team will walk you through our fantastic servicing options. In addition to providing Southampton boiler repairs that are second-to-none, we also provide solutions to maintain your boiler in full working order. If your boiler is prone to failing or your utility bills are noticeably higher, it could be an issue with the state of your boiler. 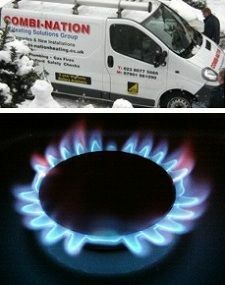 To avoid constantly paying out for boiler repairs in Southampton, enlist Combi-Nation to service your boiler instead. Also, Combi-Nation can deliver commercial boiler servicing, Landlords Gas Safety inspections, and gas fire servicing upon request. We can also provide you with exceptional discounts should multiple services be selected in conjunction with our boiler repairs in Southampton. Why choose our boiler repairs Southampton team? If you are looking for a company that supplies Southampton boiler repairs that are highly competitive, look no further than Combi-Nation. Over the years, we have carefully carved out a reputation and are the go-to choice for many domestic and commercial clients. As official Broag and Worcester approved installers, our workmanship has been certified to the highest level. To ensure that you receive the best boiler repairs in Southampton, we stay informed of the latest developments in boiler technology. We want our customers to be completely happy with the service that we offer. Each member of our highly trained team is committed to ensuring that you never receive second-rate repairs. Our customers choose Combi-Nation as they recognise our dedication and appreciate the fact that we will always go that extra mile to ensure 100% customer satisfaction. It is for this reason that our Southampton boiler repairs come so highly recommended by our clients. Get in contact with Combi-Nation today on 023 8077 5666 and find out for yourself why we are the most trusted provider of boiler repairs Southampton has to offer.